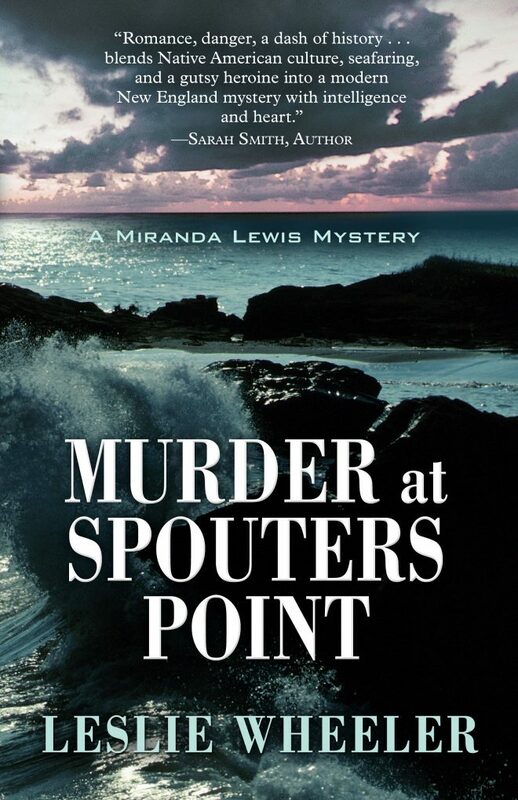 In Murder at Spouters Point, the grisly murder of a visiting yachtsman, allegedly by a local Indian, shakes a New England seacoast town and severely tests the loyalties of a white woman and her Native boyfriend. When Miranda Lewis, a workaholic writer of books about American history, and her boyfriend, Nate Barnes, a hot-tempered former American Indian Movement activist, visit friends—hers at the Spouters Point Maritime Museum, and his at a nearby Native-owned gambling casino—they know it’s not going to be smooth sailing. But neither anticipates the storm that’s about to break when Miranda’s friend’s yachtsman fiancé is brutally murdered, and Nate’s casino friend is the leading suspect. Miranda’s quest for the truth not only puts her at odds with Nate, but with her own friends when her friend’s brother emerges as a suspect. It also leads her to a life-and-death struggle with a crazed killer.